With the Christmas Season fast approaching us. Now is the time to start making and creating! 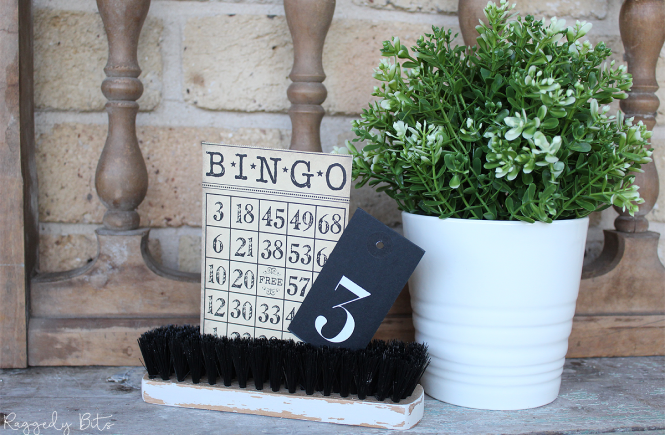 So that you are ready and organised for such a busy time. 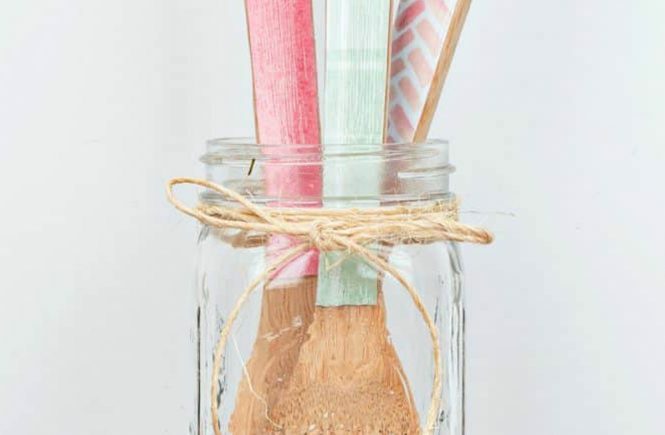 Whether it be for gifts or a little something for yourself leaving plenty of time always lessens the holiday stress. 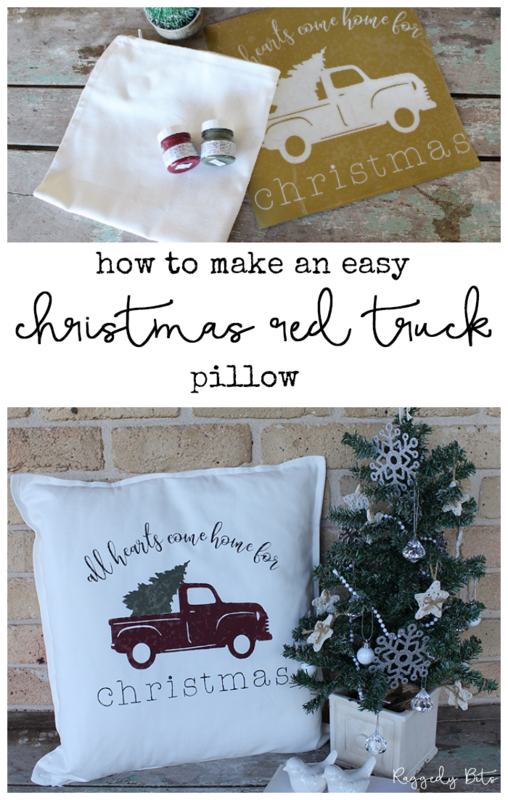 We are getting ready for our Annual Christmas Open House and thought I would share how to make an Easy Christmas Red Truck Farmhouse Pillows which makes a lovely gift or add some special Christmas touch to your home. 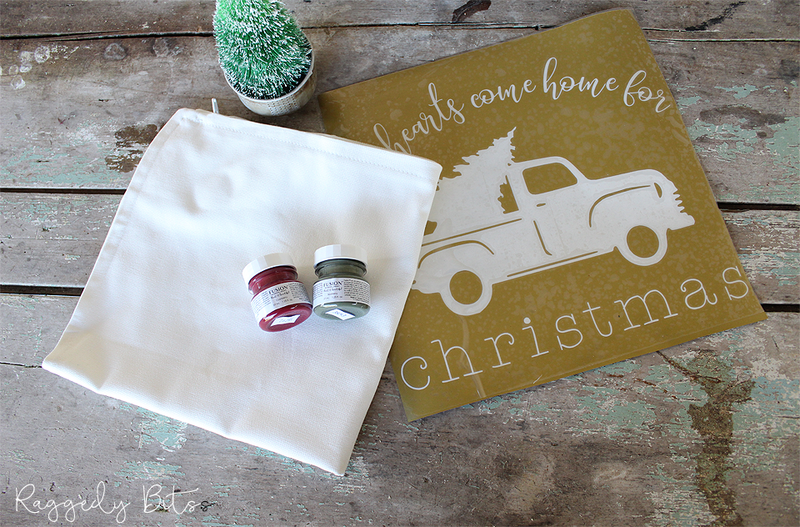 Red Truck Stencil – I made mine from vinyl but this one from Amazon will do the trick. 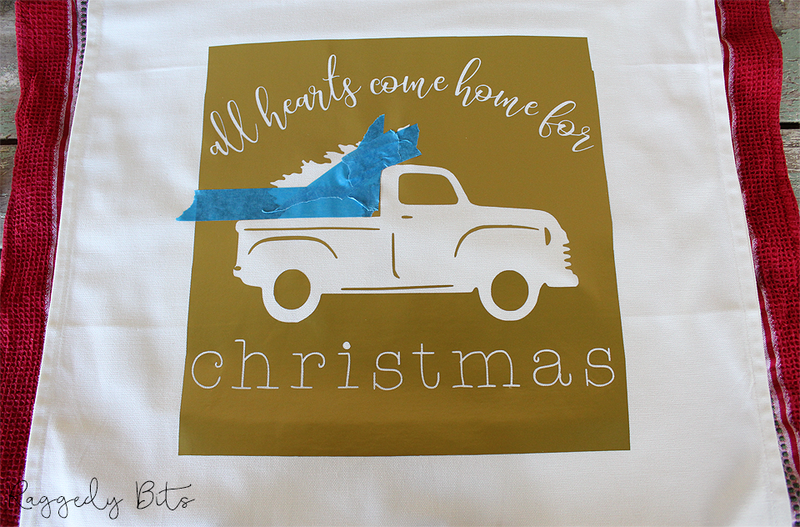 Step 1 – Place your stencil in the centre of the cushion cover. If your using this stencil make sure you tape in place to avoid shifting when your applying paint. Tape off the tree using painters tape. Pop some Cranberry out onto an old tile or a plate. Grab your spouncer and dab into the paint. The pounce again in a separate area until almost all of the paint has come off. The drier the better to avoid bleeding. You can always go over again if too light. Let dry completely. Step 2 – Once dry remove the painter’s tape and tape off the red truck. Then using your spouncer block in the tree with Bayberry. Let completely dry. 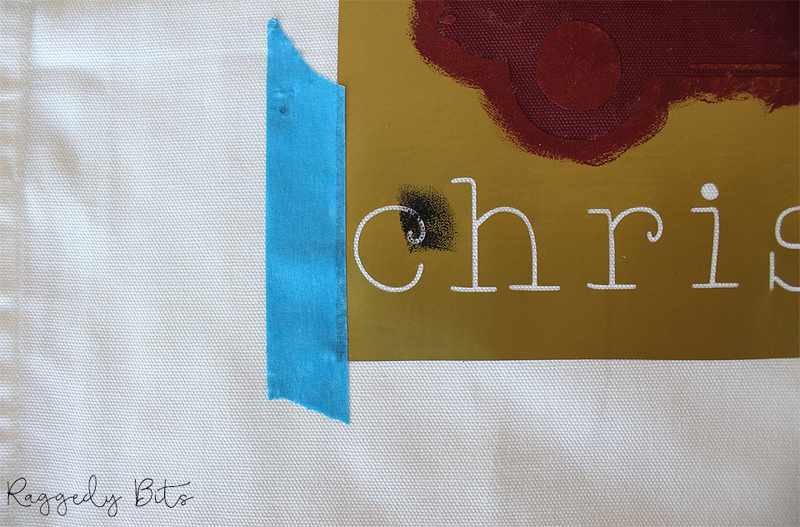 Step 3 – Again using the painter’s tape, tape off at the side of the words. This will prevent any oopsie’s with accidentally stencilling onto the fabric when the graphic or words is a little to close to the edge. 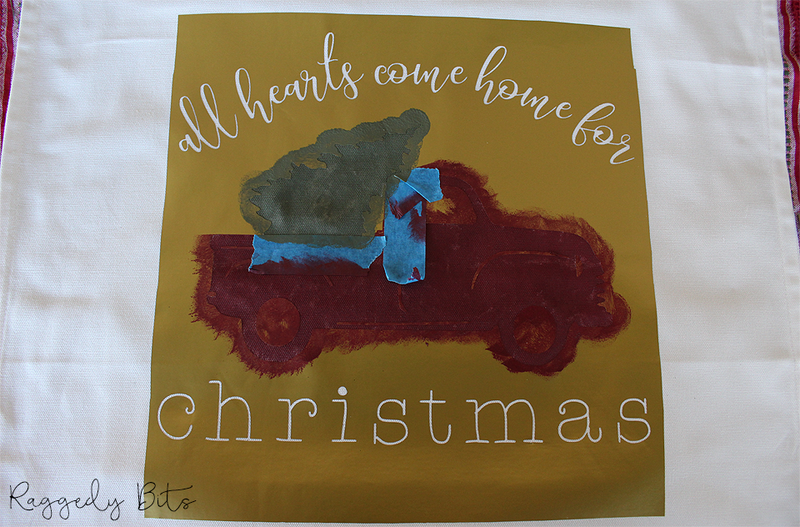 Grab your Coal Black and finish off stencilling the words. Let dry completely. Carefully remove your stencil. Then using your iron with an old cloth over the top iron over the top of your design to heat set it. 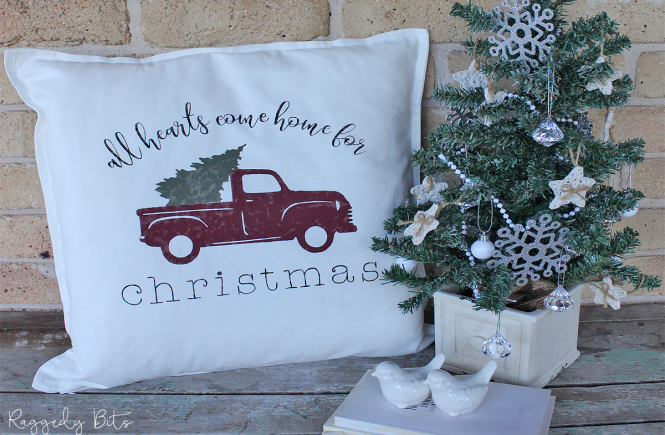 There you have an easy way to stencil a plain old pillow cover and turn it into something magical for Christmas! 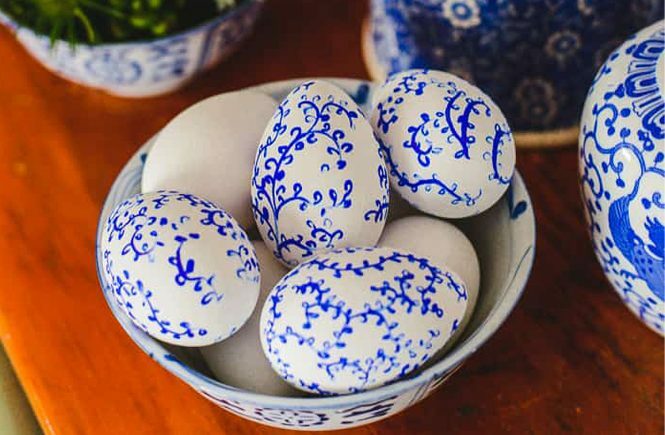 Don’t have time to make one, don’t worry I’ve got you covered! You can find them over in my SHOP. 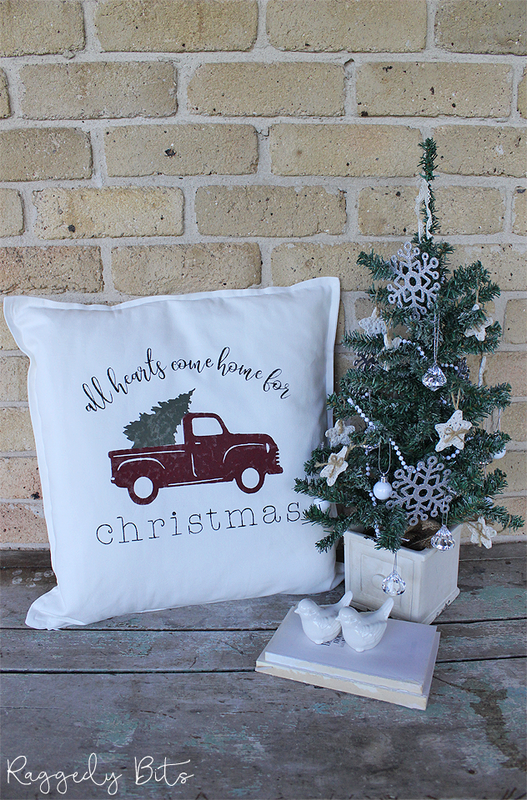 If you live locally to North Richmond, New South Wales Australia and would like to come along to our Christmas Open House Day, please email me at sam@raggedy-bits.com for all the details! I am so glad you like, Deborah! Thank you!!! Thank you, Michelle! I know you will nail stencilling!!! 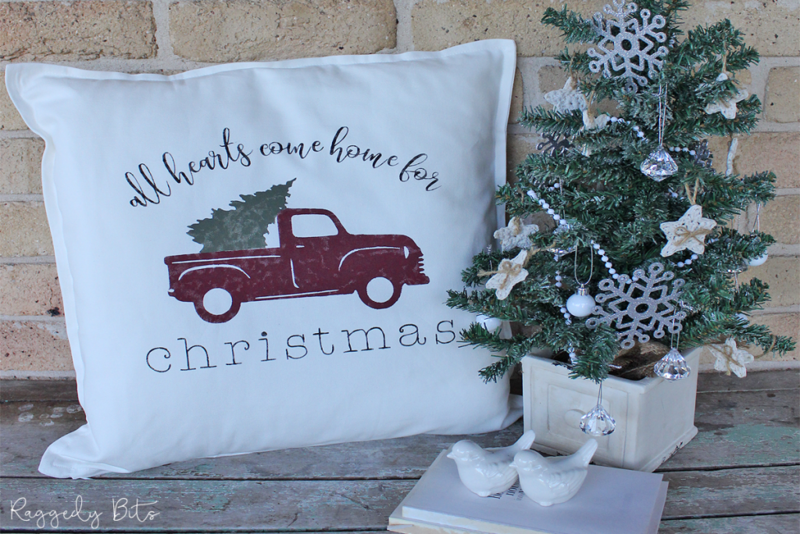 Love the pillow, wish I had a cutter but not yet. Thank you for sharing! I hope Santa brings you one, Marilyn! you will have a ball creating! Thank you so much for your kind words!